At the Chicago Comics and Entertainment Expo today, Luke Cage star Michael Colter revealed that principal photography on the Netflix series' second season will begin in June 2017. Colter also revealed that he will wrap filming on Luke Cage Season 2 in March of 2018. That suggests that Luke Cage Season 2 could arrive on Netflix for streaming as soon as mid-to-late 2018. There have been some reasons to believe that Luke Cage Season 2 would begin filming in the very near future. Simone Missick, who plays Misty Knight, made a social media post saying that she had begun working out to reprise her role in the new season. Fans have also spotted set signs popping up labeled "Tiara," which was the production code name for the first season of Marvel's Luke Cage. Luke Cage showerunner Cheo Hodari Coker spoke about the show's second season last year, saying "Now in my mind — we don’t go into Heroes for Hire in Season One of Luke Cage — Luke Cage Season One is ultimately about the evolution of a hero. I think what’s appealing about Luke is the fact that he’s just somebody who’s just your normal, average guy. He presents himself that way. He’s not pretentious, but then at the same time, feels a responsibility to kind of push forward. We’re not treating it as a one-off, and I’m confident people will dig the show, but, trust me, like Season Two, I’ve got a few ideas. But we really won’t get ready until Netflix sees the viewership, and hopefully, the subscriptions that will come from this show, and then they’ll say, 'Let’s get into it.'" Netflix seems to have liked what they saw from Luke Cage. The streaming service ordered a second season of the Marvel series in December 2016. No word on whether the Heroes for Hire, Cage and Iron Fist, will come together in the second season. Iron Fist debuted in March, establishing Danny Rand in the Marvel Cinematic Universe. The two will team up alongside Daredevil and Jessica Jones in the Marvel's The Defenders crossover miniseries. Marvel's The Defenders releases on Netflix in August. In Marvel's Luke Cage, a hoodie-wearing, unbreakable ex-con fight to clear his name and save his neighborhood. He wasn't looking for a fight, but the people need a hero. 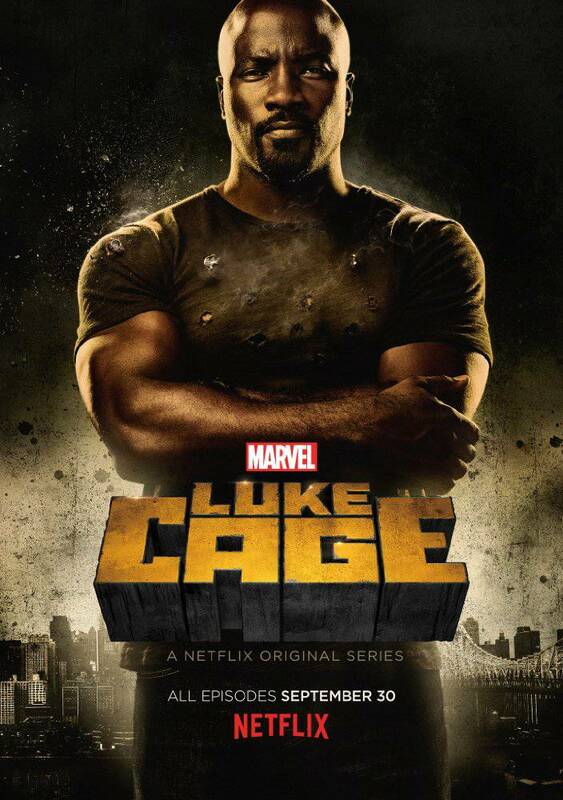 Marvel's Luke Cage was created for Netflix by Cheo Hodari Coker, who serves as showrunner. The first season fo Marvel's Luke Cage starred Michael Colter, Mahershala Ali, Simone Missick, Theo Rossi, Erik LaRay Harvey, Rosario Dawson, and Alfre Woodard.